Orlando is best-known for its unparalleled theme parks, such as SeaWorld, Walt Disney World, and Universal Orlando. If you want to ensure a completely luxurious and indulgent experience in this famous destination, you should book one of our five-star resorts in Orlando. These lodgings will leave you wanting for nothing. If you want to be sure of finding the very best accommodation, ditch the generic search engine and use Vacatia's comprehensively organized and easily navigable website. 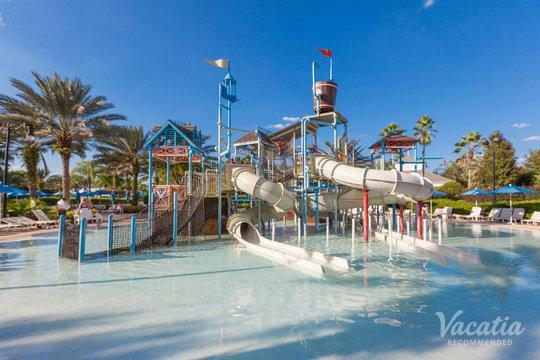 All of our luxury resorts in Orlando have been highly recommended. If you have any questions about 5-star resorts in Orlando, simply start an online chat with a member of our Guest Care team. We offer a fun and hassle-free tool for finding the best accommodation, and we consistently deliver high levels of customer satisfaction. 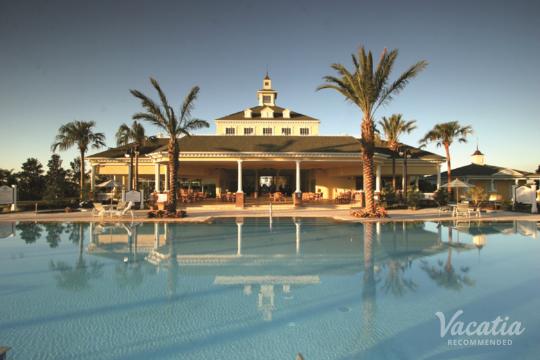 Whether you're looking for home-like condo rentals or luxurious five-star hotels in Orlando, Vacatia has you covered. But what if you want accommodation that combines the best of these two varieties? Something that include the comforts of home with high-end services and amenities? Well, Vacatia has the perfect solution. Our resort residences give you your own beautifully furnished living space and fully equipped gourmet kitchen, as well as perks like concierge check-in, housekeeping, games rooms, fitness centers, pools, waterslides, and more. Whether you feel like relaxing in a private, well-appointed space or indulging in all the luxurious benefits and city thrills, you will have the perfect place to stay. You can book with us online to secure one of these unique accommodations today. It is easy to lose yourself in the big attractions of this city, namely Universal Orlando and Disney. You could happily spend your entire vacation in these meticulously constructed dream worlds, but Orlando has much to offer outside of their gates, as well. Beautiful, tree-filled neighborhoods, a number of amazing gardens, a thriving arts scene, museums, and nature preserves can be found in and around Orlando. These attractions offer a more laid-back atmosphere than many visitors experience. Many people come just for the amusement parks, however, and they will not be disappointed by the high-adrenaline fantasies within. Whether you're seeking theme park thrills or the gentler delights of Orlando, you will make memories to last a lifetime. At the end of each incredible day, you'll be able to rest and reflect in one of our Orlando luxury rentals or resorts.